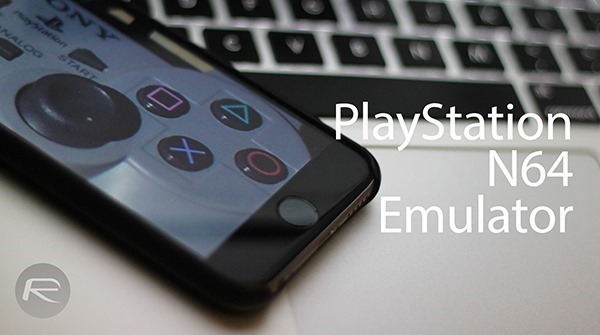 Here’s a tutorial on how to install PlayStation and N64 emulator on iOS to play console games on iPhone, iPad or iPod touch. Complete instructions and video tutorial can be found right after the break. To make the magic of running PlayStation or N64 happen on your iOS device, we’ll be making use of the RetroArch app on Cydia, hence you should have a jailbroken device at hand if you want in on the action. Step 1: Launch Cydia from your device’s home screen and wait for it to completely load. Step 2: Hit the search button. Step 3: Type in ‘RetroArch,’ and once you see the tweak in the list, tap it once. Step 4: You should now see the RetroArch Cydia page. Here, hit the Modify button on the top right corner of the screen, and tap Install. Step 5: Once the tweak has been installed on your device, look for the app on the home screen and launch it. Step 6: Now that you know that app runs and all, hit the Home button. Step 7: Launch Safari, and search – or browse – for your favorite PlayStation / N64 title and download its ROM. Step 8: Launch the emulator, and if you’re familiar with the likes of them, you would know you need to hit the ‘Load Content’ button to load a ROM. Step 9: Choose the ROM you want to run and then select the emulator you want to go for. For example, if you want to run Super Smash Bros, you will need to select the N64 emulator. Every one knows you can do this with jailbreaking, the real question is where are these sneaky hidden emus on the App Store? N64 doesn’t work on iphone 6.
ipad 2 works good. I fear a little lagginess, but I’ll live with it.